Texas parents don't have to have a medical or religious reason to stop their kids from getting vaccinated. 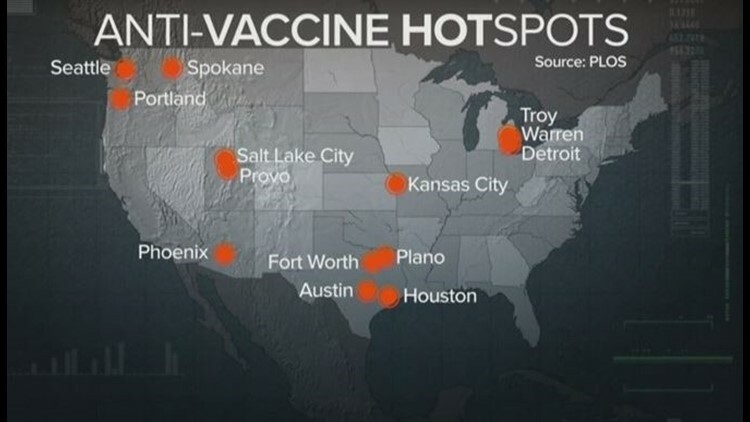 HOUSTON — Houston is one of 14 so-called "hot spots" around the U.S. where there's a delay or refusal to vaccinate, according to a study published at the Public Library of Science. This is because a Texas law allows "conscientious exemption." Fort Worth, Plano and Austin are also on the list. This means that Texas parents don't have to have a medical or religious reason to stop their kids from getting vaccinated. The number of exempt students in area schools is still low, but private schools seem to have higher rates.